If you are looking for a simple salad to take on your Canada Day celebrations then this one is perfect. 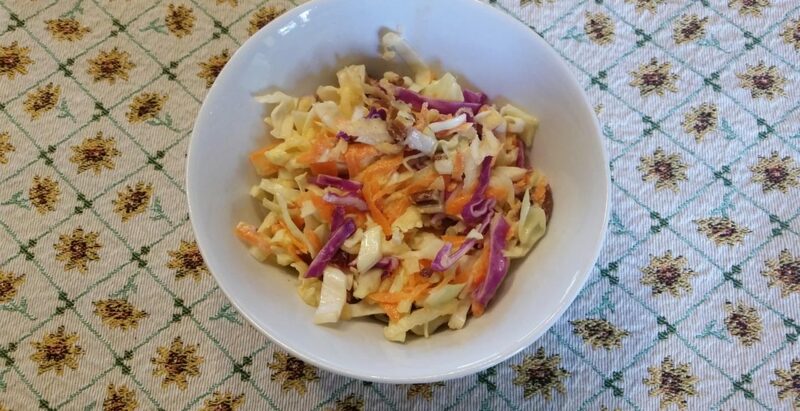 Grate up cabbage plus cut some into smaller pieces. Cut and core apple and grate into the cabbage mixture. Shave the carrot and grate into the mix then add pecans and cranberries. Squeeze lemon over the mixture and add 1 tsp sugar . Add the mayonnaise and with a spoon mix everything together .